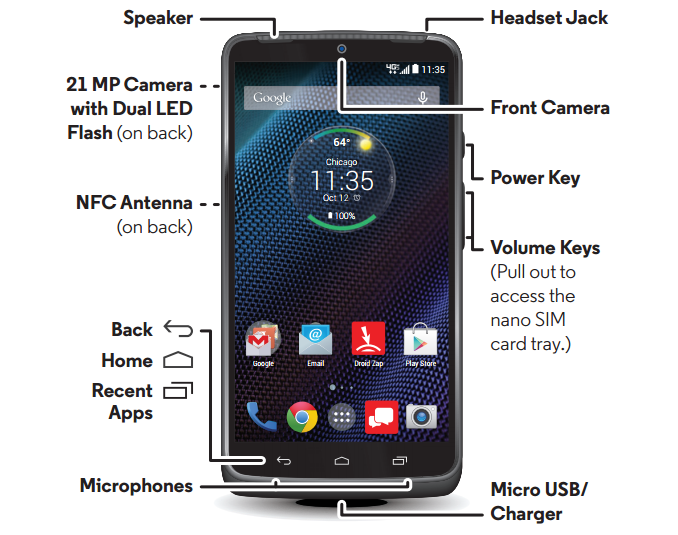 If the leaked manual of rumoured DROID Turbo is authentic, then we are looking at another super phone this year. According to the manual, DROID Turbo has superior specs compare with LG G3, Galaxy S5 and iPhone 6. It has 2K resolution on a 5.2-inch Display. Only LG G3 and Galaxy Note 4 have the same 2K resolution display. It has the latest Snapdragon 805 chipset and Krait 450 GPU compare to 801 chips used in all its major rivals. It has 3GB of RAM. It has 21MP camera and 4K Ultra HD video recording. With this another soon-to-be-released phone, Motorola is pushing further to take bigger bite of smartphone market. Moto X 2nd Gen sales is still going strong since September and Nexus 6 is heavily expected by Android community. Follow me on Twitter for more updates on this DROID.